Mini Masterpiece is the perfect kit for all your kids and grand kids (and maybe your own?) arts and crafts masterpieces! This HUGE kit comes with 20 beautiful papers, plus a bonus pack of 9 artistic papers, 85 total colorful elements, and 7 stamped uppercase alphas! 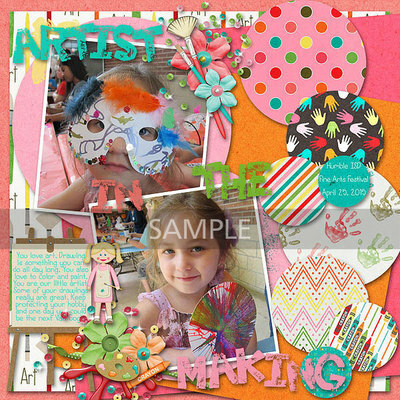 What a great kit to use - so much fun and whimsy packed into one kit!